A little girl sets off through the jungle to take a bunch of bananas to her grandad. But on the way she meets lots of hungry animals who love bananas too! 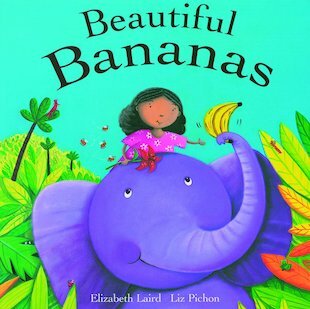 Each wild animal swaps a banana for a different delicious jungle treat… but will the little girl get her beautiful bananas back again? This delightful retelling of an East African folk tale is told in a wonderful circular style, encouraging children to follow its evolving pattern and chime in when they guess what happens next. 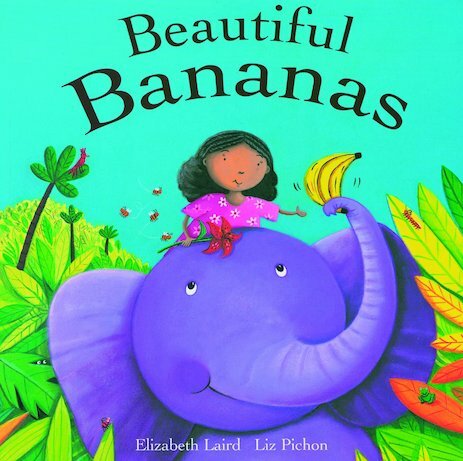 The author, Elizabeth Laird, is a Carnegie Medal shortlisted author and former winner of the Smarties Young Judges prize. Elizabeth Laird has won several awards including the Red House award for Kiss the Dust and the Scottish Arts Council Prize for The Garbage King.